If you are applying for Social Security Disability (SSD) benefits, you have likely discovered just how complex — and difficult — the process can be. It is also confusing. One of the issues that can cause uncertainty is related to the transferability of skills. The Social Security Administration (SSA) evaluates the skill level of your past work. How do they do this, and why does it matter? 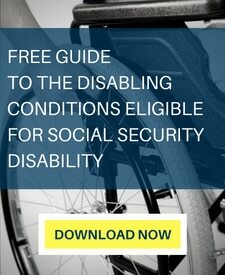 How Does the SSA Make a Disability Determination? What if you do not meet the criteria for a medical impairment listing? The SSA will look at your Residual Functional Capacity (RFC) to determine the level of exertion of which you are capable. A claims examiner and medical consultant with Disability Determination Services (DDS) conducts this assessment based on your medical records. The difference here is the transferability of skills. According to the SSA, this person may not be able to do the work he or she most recently did, but they can transfer those skills to another job. This, of course, applies to workers of all ages. Let’s dig into the transferability of skills. Are You a Semi-Skilled or Skilled Worker? If the SSA determines that you have transferable skills and have the capacity to do less demanding work than you currently or previously did, you will likely not qualify for SSD. Unskilled: This work requires no skills and very little training. You could walk in off the street and learn the job in a month or less. Examples include: fast food employee, line operator, messenger, construction laborer, vegetable/fruit harvester, cleaner, and parking lot attendant. There are no skills that are transferable to other jobs/fields, according to the SSA. Semi-Skilled: These jobs require more attention to detail but you do not have to have extensive training or education. Instead of less than a month, you’d learn a semi-skilled job in three to six months. The following positions are considered semi-skilled: retail sales, call center employee, wait staff, nurse’s assistant, flight attendant, and security guard. There are some transferable skills here, and the SSA will need to determine determine if there are other unskilled or semi-skilled jobs that you are capable of doing. Skilled: In skilled worker positions, employees use judgment and reason, make decisions, solve problems, and perform other higher level tasks. Individuals usually have professional training and/or educational qualifications (e.g. degrees, certifications, licenses) and it takes six months to a year, and in many cases, longer, to learn these jobs. They include: administrative assistants, nurses, teachers, mortgage processors, etc. Now, if you have a history of skilled work, an RFC of sedentary or above, and do not meet the requirements for a medical impairment according to the Blue Book, it is difficult to qualify for SSD. The SSA will determine that you can seek work in other skilled, semi-skilled, or unskilled jobs. But remember, if you your disability interferes with your ability to perform a skill, it is not transferable. Say, for example, that an individual suffered a traumatic brain injury (TBI). While he had many transferable skills in his job as a financial manager, his condition prevents him from organizing records or making decisions about spending. There is no transferability of skills as a result of the TBI. This is not an exact science. Some roles fall somewhere between unskilled and semi-skilled or semi-skilled and skilled worker. Likewise, the SSA may miscategorize your skill level based on inaccurate job descriptions. In any event, it is helpful to have a legal representative look at the facts and advocate for you. It can be difficult to know with certainty if you have “transferable skills,” and if the SSA will determine if you are still able to work in some capacity. 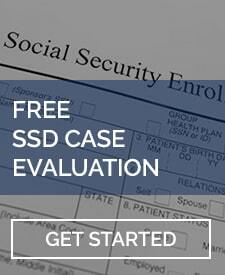 If you need assistance filing an application or an appeal if denied benefits, contact a qualified SSD attorney. The law firm of LaBovick Law Group has decades of experience helping clients receive the benefits they are owed. If you find yourself lost in the process, do not hesitate to contact us.